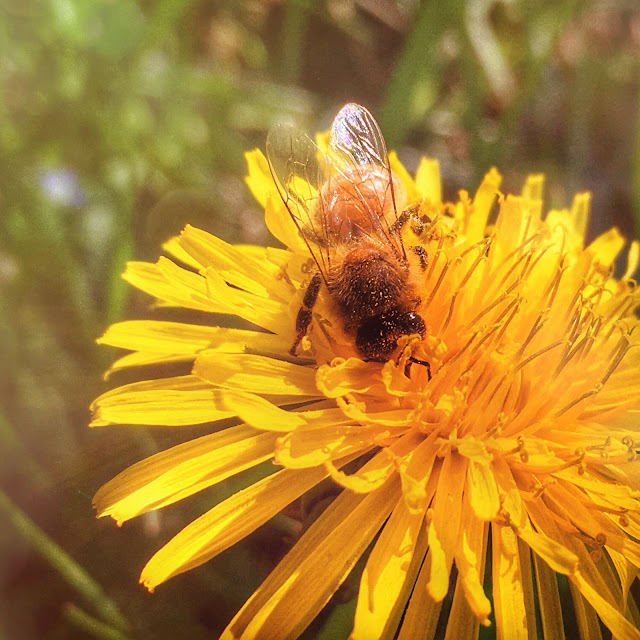 I have been spending some time outside following my honeybees around with my iPhone in hand, eager to capture them with the Camera+ app visiting their favorite pollen and nectar sources this time of year. I have put my big camera guns down to challenge myself with Iphoneography for the time being. Today, the gentle humming of honey bee wings can be heard from the vibrant crowns of yellow worn by the Wingstems that line my property. My honey bees are foraging, along with other pollinators, upon this early autumn delight. Wingstem (Actonomeris alternifolia) is a native wildflower in the Sunflower family (Asteraceae). With about 24,000 documented species, the sunflower family is the largest family of flowering plants. This is one of my own Honey Bees foraging for nectar and pollen on the Wingstem growing on my property. 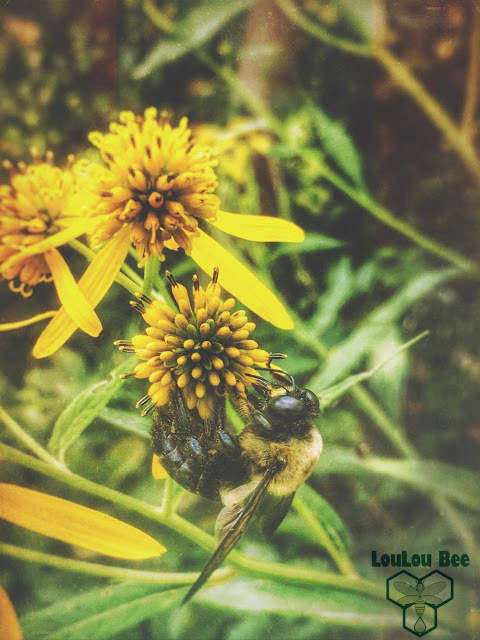 Wingstem, often called Yellow Ironweed because of its resemblance to Ironweed before its blossoms appear, is an aggressive grower and can be found in many places in Virginia. Additionally it is found throughout most of the midwest and East, just outside of New England. 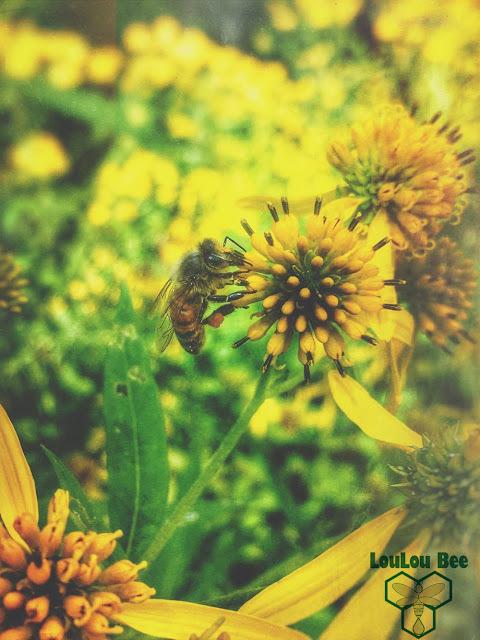 As a beekeeper, I am blessed to have this wonderful plant sprawling all over my property because it is a huge source of nectar and pollen supply for both native pollinators and honey bees. Wingstem (Actonomeris alternifolia) is found throughout much of the eastern portions of the US to the Midwest. Wingstem has delicately fuzzy leaves and a daisy-like yellow flower, a flower which looks like a mop head or pin cushion, featuring drooping, reflexed petals around a central disk of florets. Though this plant is rather easy to identify by the stems which have symmetrical leaves on each side, looking like wings, it is often confused with the Yellow Crownbeard (Verbesina occidentalis). Sometimes these two plants grow side by side in the wild and you may not even notice they're two very different plants until closer inspection. A pleasantly plump bumble bee enjoys working the pin cushion florets of the Wingstem plant. 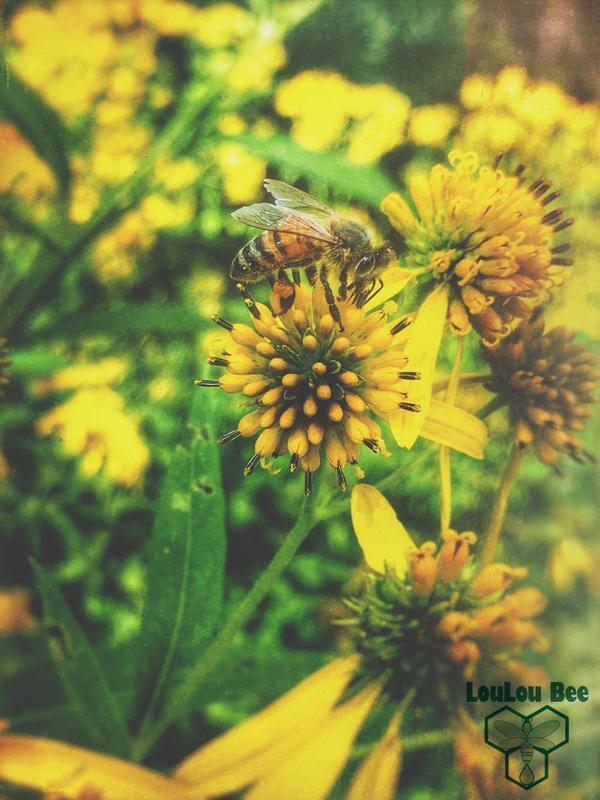 Wingstem has often been marketed to beekeepers and landscapers interested in native plantings and pollinator friendly gardens, as the Golden Honey Plant. 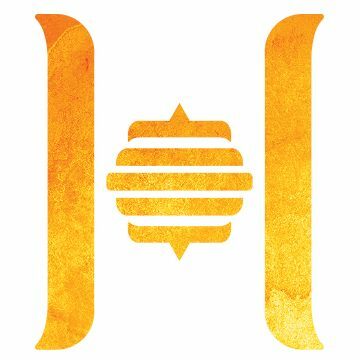 Honeybees and bumble bees love collecting the orange pollen and its nectar. A quick walk through my naturalized landscape will show you how beloved this plant is not only by the bees but also beetles, moths, and butterflies. The bold yellow flowers of Wingstem are the trumpeters of Nature announcing autumn's arrival and beckoning pollinators to take advantage of their offerings to prepare for winter! The arrival of Wingstem blooms tells me that Mother Nature is ready for autumn in my area and soon enough all the leaves of the deciduous trees around me will be turning dazzling colors and dancing with the wind as they let go of their boughs. 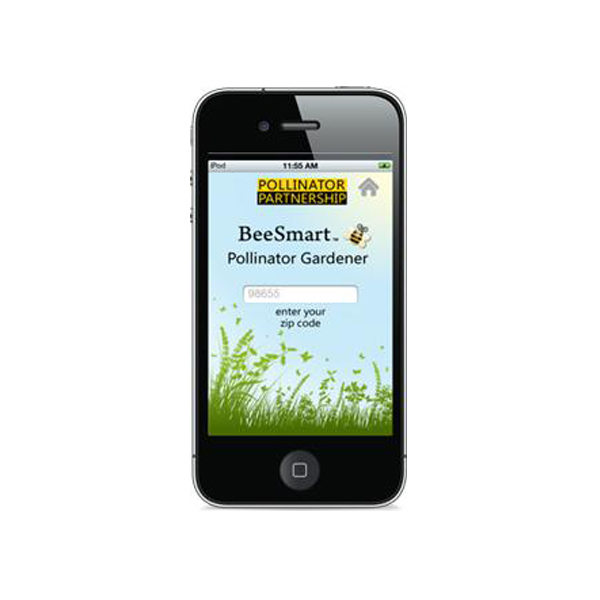 The world of bees and other bugs will be slowing down and readying themselves for winter. Autumn is my most favorite season and I am looking forward to the show Mother Nature delights me with! These little yellow flowers are whispers of hope and promise, fulfilling the wishes of all those who depend on them for their survival. 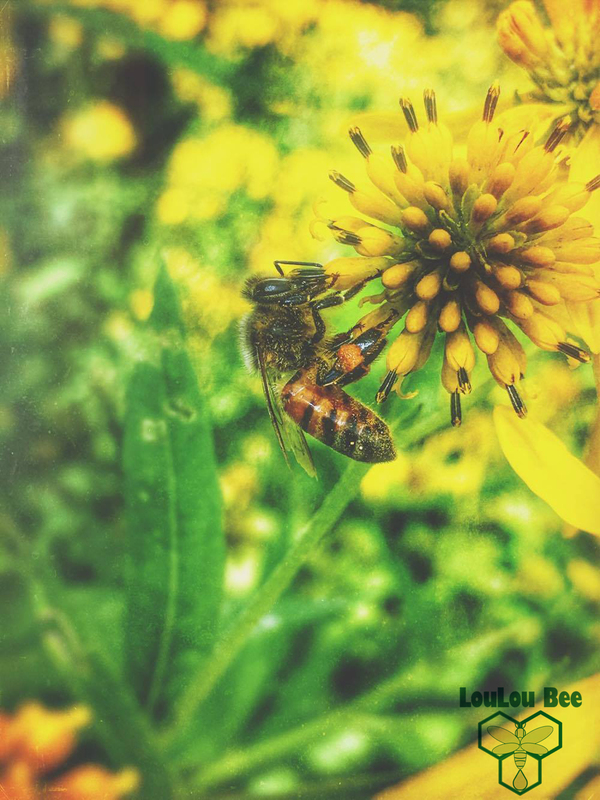 I am always delighted to see my honey bees working native flowers on my property and the Wingstem is a stellar native wildflower offering so much to pollinators in my area. In closing, I can't help but compare the changing seasons to the changes, we as humans, must keep up with during our lifetime. Feels like yesterday, I was an 8 year old sitting on the floor in front of my great grandmother Eva's rocking chair, listening to her tell me about her lifetime. She had seen the first car, the first plane, the first rocket, first home telephones, the first tvs (black and white and color), the first man on space, the first home computers, all the World Wars, and then some! So much change in so little time took place in her generation. Change is always happening, right under our noses. Survival and progress are a lot a like. My little bees work their hearts out (nearly literally) to collect enough food for their colony to survive in a harsh environment. They work together and make it happen. They think forward and not backwards, their survival depends on it. Humans sometimes see progress and change as scary things, but I think we need to realize, that our survival as a whole rests entirely on our ability to progress in life, accepting, adapting, and changing. Each new flower of technology that we invent, each budding possibility within our reach, is going to make a difference, especially in an environment where the future isn't entirely predicable. We need to be prepared! We need to BEE-like the bees! (yes, that cheesy pun was intended). If you are interested in learning what Applications I use for photography on my IPhone, please don't hesitate sending me an email. I would gladly discuss my process and which apps I prefer the best! Thanks for reading! I am always interested in connecting with other bee and art bloggers along with additional affiliate opportunities.